The Finders Keepers Sydney SS18 opens NEXT FRIDAY November 30 with one of our best designer line-ups yet! 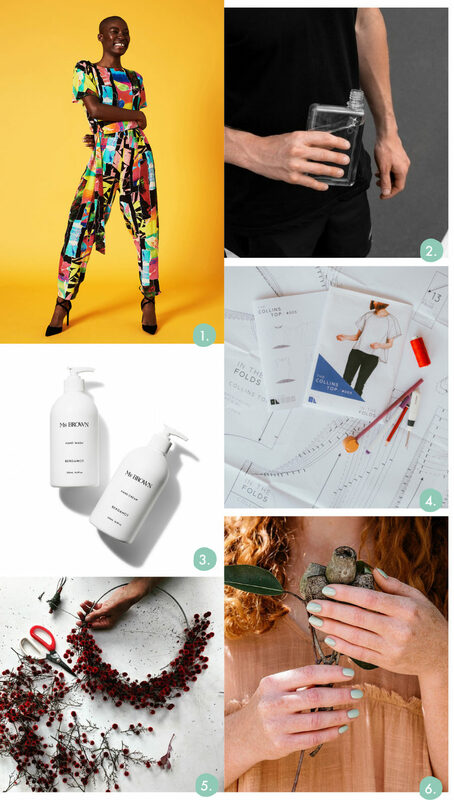 With Christmas creeping up we decided it was time to pull together a Festive Finders Keepers Gift Guide, with a focus on ethical practices and green goals! Simple changes to your shopping habits can have a huge impact on small business success, and on our environment. Better yet, it’s easy to do at the Finders Keepers! Join us in supporting small business and shopping local. It’s just a tiny taste of some of the incredible things you’ll discover under one roof at The Cutaway, Barangaroo. Doors open on Friday 30th Nov at 12pm and the festival-fun continues Saturday 10am – 7pm and Sunday 10am – 5pm. For the full list of stallholders, visit the Sydney Directory or download our FREE smartphone app. 1. Beeswax wraps by Apiary made – a re-suable, sustainable and beautiful-to-look-at alternative to single use plastic wrap! 2. Relax in slow and steady fashion made using natural fabrics by Bask and start building your sustainable wardrobe. 4. We need bees to survive! Devour this delicious 100% raw honey range, handcrafted by head beekeeper Andrew & his hardworking bees from Mudgee, NSW Maya Sunny Honey and support bees! 5. If you make one change, stop single-use coffee cups and invest in a keep cup! Your barista won’t miss your coffee with these functional one of a kind handmade coffee cups by Public Holiday also a wonderful gift for the coffee lover in your life! 1. 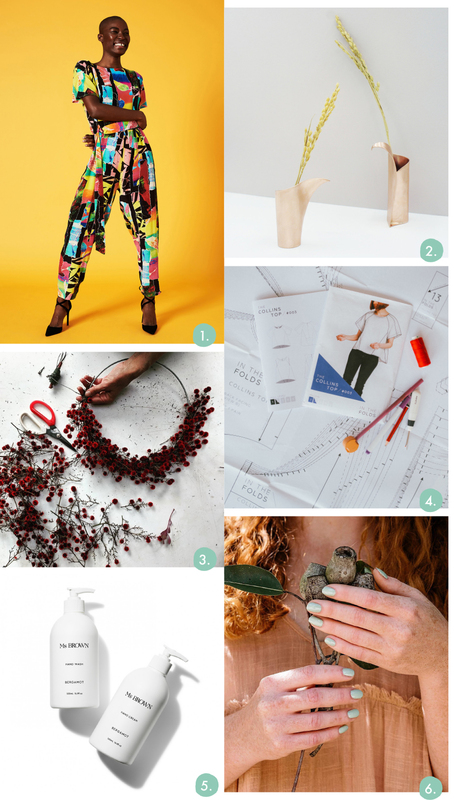 The Social Outfit utilise quality end of roll fabrics and donated remnant materials to create individual fashion – based in Sydney this social enterprise is one to get behind this Christmas! 2. Not only are these a super cool design but each memobottle sold provides one person with two months’ access to clean water. 3. 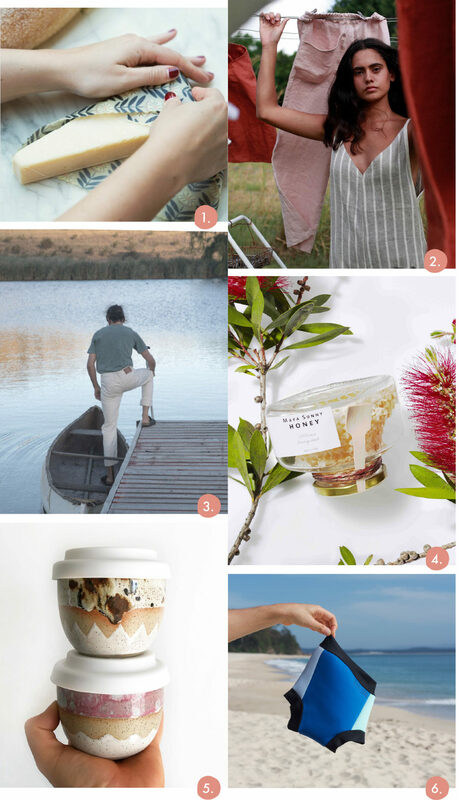 Moving to natural garment & skincare is a wonderful move to make – made in Australia using natural and certified organic ingredients Ms Brown has a huge range of gift ideas – with scents or without. 5. Say no to plastic wreaths and celebrate the festive season with the real deal, beautiful wreaths by Blume Flower School with be at Finders Keepers Sydney. While we’re on the subject of saving! Finders Keepers is constantly working at ways to reduce waste at our events. We’ll be supplying a water refill station, so be sure to bring along your refillable water bottles, or purchase a keeper from one of our wonderful stallholders Memobottle or Earth bottles. Thanks to Closed Loop we’ll also be separating and sorting cardboard, recyclables and general waste in Sydney on site as part of our continued efforts to make Finders Keepers a sustainable event you feel proud to attend. See you next weekend Sydney!